In a world complacent with the status quo comes a breathtaking new design - the Intuition series from Wadia. 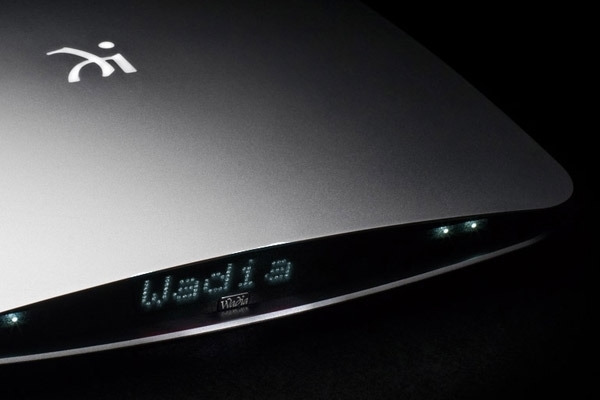 Taking on function and form, once again redefining the state-of-the-art in music playback, visually seductive and attracting your gaze from every angle, Wadia Intuition is an alluring experience for both the ears and eyes. The goal was clear – to create a product of the highest caliber to encompass the latest technologies and enclose it in a design that is completely new yet timeless. Every facet has been given the utmost attention: the selection of the finest components, the gently sloping chassis, the intuitive user interface. Intuition is destined to be the soul of any music playback system.